Jim Capaldi (2 August 1944 ? 28 January 2005) was an English musician and songwriter and a founding member of Traffic. He drummed with several famous singers and musicians, including Jimi Hendrix, Eric Clapton, and George Harrison. 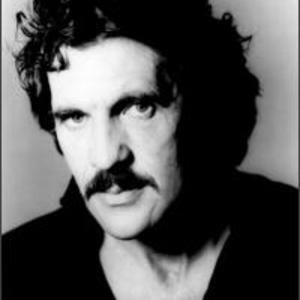 Overview Born Nicola James Capaldi on 2 August 1944 in Evesham, Worcestershire, England to musical Italian parents, Jim Capaldi's musical career lasted more than four decades. Born Nicola James Capaldi on 2 August 1944 in Evesham, Worcestershire, England to musical Italian parents, Jim Capaldi's musical career lasted more than four decades. He co-founded Traffic in Birmingham with Steve Winwood and the band's psychedelic rock was influential in Britain and the United States. Capaldi and Winwood wrote many of Traffic's major hits and most of the tracks on the band's ten albums. As a child Capaldi studied the piano and singing with his father, a music teacher, and by his teens he was playing drums with his friends. In 1961 Capaldi played drums for the Worcester band The Sapphires and in 1963 he formed The Hellions with Dave Mason on guitar and Gordon Jackson on rhythm guitar. In August 1964 Tanya Day took The Hellions to the Star-Club in Hamburg, Germany as her backing group. The Spencer Davis Group were staying at the same hotel as The Hellions and it was there that Steve Winwood befriended Capaldi and Mason. Back in Worcester, The Hellions established themselves as busy professionals of sufficient repute to provide backing to visiting performers including Adam Faith and Dave Berry. By the end of 1964, they had a London residency at the Whisky-A-Go-Go Club. In 1965 the band released three singles but none charted and later that year John "Poli" Palmer joined the band on drums and Capaldi became the lead vocalist. The Hellions moved back to Worcester in 1966 in an attempt to reduce their costs but local tastes had changed and the band relaunched themselves as The Revolution with a fourth single that also failed to chart. Disillusioned, Dave Mason left the band. Capaldi replaced Mason with Luther Grosvenor and renamed the band Deep Feeling. They played gigs in Birmingham and the surrounding Black Country area where they developed a significant fanbase. Capaldi, Jackson and Palmer wrote original songs for the band that were heavier than the Hellions repertoire. Although they recorded several studio tracks only "Pretty Colours" (Capaldi/Jackson/Palmer) has been released. Capaldi and the band played frequently in London and Jimi Hendrix played guitar with them at the Knuckles Club as an unknown musician in his first UK performance. Back in Birmingham Capaldi would occasionally join his friends Mason, Winwood and Chris Wood for impromptu performances at The Elbow Room club on Aston High Street. Early in 1967 they formalised this arrangement by forming Traffic and the other members of Deep Feeling disbanded. In 1968, Capaldi, Winwood and Mason contributed backing music to a solo album by Gordon Jackson. The new band was signed by Island Records and rented a quiet cottage in Aston Tirrold, Berkshire in order to write and rehearse new material. The cottage did not remain quiet and had frequent visitors including Eric Burdon, Eric Clapton and Pete Townshend as well as Trevor Burton (of The Move) amongst many others. Capaldi wrote the lyrics for Traffic's first single "Paper Sun", which appeared in the UK singles chart at number 5 in the summer of 1967. Two more singles were released successfully in 1967 and in December the band released the album Mr. Fantasy, which demonstrated the individual talents of each member. Mason left the band soon after the album's release, but returned the following May before finally leaving again in October. Winwood also left Traffic (to form Blind Faith) and the rest reluctantly concluded that the band was over. Capaldi now tried to form another band with Mason and Wood but the creative tensions that had caused Mason to leave Traffic remained, and Wynder K. Frogg only lasted until March 1969. In January 1970 Capaldi and Wood joined Winwood in the studio to record Winwood's solo album. These sessions were so successful that the three of them reformed Traffic (without Mason) to release the album John Barleycorn Must Die. They then toured the UK and the U.S. with a band extended by several session musicians. Although the next Traffic albums were successful, Capaldi began to develop his solo career and released his first solo album Oh How We Danced in 1972. This set featured contributions from Free guitarist Paul Kossoff, Barry Beckett and Rebop Kwaku Baah as well as several members of Traffic. He followed this up with Whale Meat Again in 1974 before releasing what many consider to be his masterpiece, Short Cut Draw Blood, the following year. Full of tracks with lyrical bite, the album tackled issues such as the environment, government corruption and drugs. In October 1975 a single taken from the album, a cover version of The Everly Brothers' "Love Hurts", reached number five in the UK chart, and charted worldwide. Capaldi's first and only solo Top 40 hit in the United States was from his 1983 album Fierce Heart, yielding the hit single "That's Love", which climbed to Number 28 in Billboard's Top 40 in the summer of that year. The track was a simple arrangement with synthesized drums, electric guitar, and keyboards. Capaldi was noted for the extent of his collaborations with other musicians. In 1973, he played drums at Eric Clapton's Rainbow Concert and on some Clapton studio sessions. Jim Capaldi's success as a lyricist continued throughout his life. He was a five times winner of coveted BMI/Ascap Awards for the "most played compositions in America", and sales of songs written or co-written by him exceeded 25 million units. He numbered Bob Marley among his friends and they travelled together whilst Marley was writing the Catch A Fire album. Capaldi wrote the lyrics to "This Is Reggae Music". Jim Capaldi married Brazilian born Aninha in 1975 and in 1976 he toured with his band Space Cadets before moving to Brazil in 1977. His daughters Tabitha and Tallulah were born in 1977 and 1979, respectively. The Capaldis lived in the Bahia region of Brazil until the beginning of 1980 and while there he became heavily involved with environmental issues. The track "Favella Music" on his 1981 album Let The Thunder Cry arose from his love of Brazil, and he worked with several Brazilian composers. In the 1980s, Capaldi collaborated with Carlos Santana contributing songs and ideas to Santana's projects and in the 1990s he wrote the song "Love Will Keep Us Alive" for the Eagles' successful Hell Freezes Over album. His own 1988 album Some Come Running included Eric Clapton and George Harrison on the track "Oh Lord, Why Lord". In 1993, Traffic reformed (without the late Chris Wood) and recorded a new album Far From Home and in 1994 Capaldi toured the U.S. and UK with the band. In 1998 he paired up again with Mason on an extensive American tour. In 2001, Capaldi's twelfth solo album Living On The Outside featured George Harrison, Steve Winwood, Paul Weller, Gary Moore and Ian Paice. George Harrison played guitar on the track "Anna Julia", which is an English translation of a song by the Brazilian band Los Hermanos, and Capaldi played at the Concert for George in 2002. Outside his music and his environmental activism, Capaldi also assisted his wife in her work with Jubilee Action to help Brazilian street children. He remained professionally active until his final illness prevented him from working on plans for a 2005 reunion tour of Traffic. He died of stomach cancer at 02:30 on 28 January 2005. He was 60 years of age. He is survived by his wife and two daughters. Dear Mr Fantasy was a celebration of Jim Capaldi's life and music that took place at the Roundhouse in Camden Town, London on Sunday 21st January 2007. Guests included Steve Winwood, Cat Stevens, Paul Weller, Pete Townshend, and many more. Dear Mr Fantasy featured the music of Jim Capaldi and Traffic, and all profits went to The Jubilee Action Street Children Appeal.